Previously, Shane talked about Novell’s mixed source identity crisis. Today, let’s focus on another aspect, which is Novell’s assimilation to Microsoft. This makes Linux an obedient, passive second-class citizen rather than a leader. 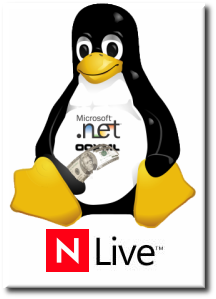 Fact: Novell pays Microsoft for Linux and open source software. If you want Linux to stay Linux (as in “Linux is not Windows”), then do not choose Novell. Playing catch-up with Microsoft is the worst possible strategy. Paying Microsoft for Linux is a sin. Move along, nothing new or interesting. Everyone else moved on weeks ago. Get over it (of course, it is possible Novell did all of this just to annoy you but you what? I doubt it). Your attempt to make me ignore the issues caused by Novell’s behavior has failed. Moving along would only let them continue the assaults on open source or even get worse, someone has to denounce this stuff, you know. Ignoring it won’t make it right.